Pierre Seillan has spent the past five decades perfecting his micro-cru philosophy to create world-class wines. His passion lies in crafting wines from diverse terroirs, using the same approach to capture the unique expressions of Sonoma County, Bordeaux, and Tuscany in each vintage. 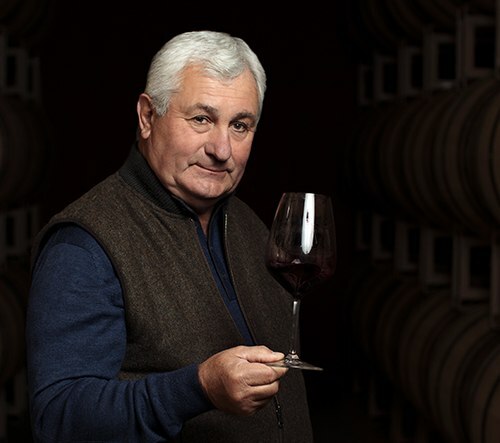 Seillan’s career in the wine industry began at Bellevue, his family's estate in Gascony, France, where he learned to grow Cabernet Sauvignon, Merlot, Cabernet Franc, and several white varieties. Later he focused on Cabernet Franc at Château de Targé in the Loire Valley. Seillan then spent two decades in Bordeaux making wine at several châteaux for Raoul and Jean Quancard. While working across eight different appellations, he quickly discovered the many nuances within various vineyard sites. This became the backbone of his micro-cru philosophy and allowed him to build the elegant and complex architecture of his wines.